What Does a Cardiovascular Operating Room Nurse Do? Where Do Cardiovascular Operating Room Nurses Work? What Is a Cardiovascular Operating Room Nurse? A cardiovascular operating room (CVOR) nurse works as part of the surgical services and operating room teams that treat open-heart (cardiovascular) patients. CVOR nurses assist with patient care, ensure that sterile procedures are followed during surgery, necessary equipment and medications are available for the operating room team and that a patient's safety is assured at all times. Once a nurse earns a nursing degree and secures an RN license, obtaining hands-on experience in critical care, cardiovascular treatment and/or operating room procedures is the next step. Most CVOR nursing positions require RNs to also hold the Basic Life Support Certification (BLS) from the American Heart Association or American Red Cross. In addition, many CVOR nursing job openings prefer an RN to hold the CNOR Certification for perioperative nurses from the Competency & Credentialing Institute, the Advanced Cardiovascular Life Support Certification (ACLS) and/or the Pediatric Advanced Life Support Certification (PALS) from the American Heart Association. To search and apply for open CVOR nursing positions, visit our job boards. What are the Education Requirements for Cardiovascular Operating Room Nurses? Most CVOR nurses hold a Bachelor's of Science in Nursing degree, and all hold an active RN license, which can be achieved through passing the NCLEX-RN. Most hospitals prefer cardiovascular operating room nurses to have prior operating room experience, as well as hold a BLS Certification, ACLS and/or PALS Certification and the CNOR Certification for perioperative nurses from the Competency & Credentialing Institute. Most open CVOR nursing positions require candidates to hold the BLS Certification from the American Heart Association or American Red Cross. Many employers also prefer candidates to hold the CNOR Certification for perioperative nurses offered by the Competency & Credentialing Institute. 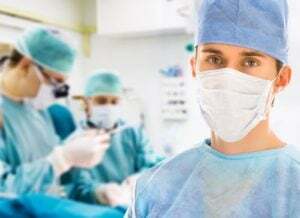 In order to be eligible for the CNOR exam, a nurse must hold a current unrestricted RN license, be currently working full- or part-time in perioperative nursing in the areas of research, education, administration or clinical practice, and have completed two years and 2,400 hours of experience in perioperative nursing. Some employers may also prefer candidates who hold advanced life support certification, such as the ACLS or the PALS Certifications offered by the American Heart Association. As the name suggests, CVOR nurses work in hospital operating rooms and specialize in cardiovascular (open-heart) surgeries. In addition to staff positions, many traveling nursing organizations post and fill temporary CVOR positions. A travel nurse is hired to work in a specific location for a limited amount of time. A cardiovascular operating room nurse specializes in the care of cardiovascular patients before, during and following surgical procedures. The CVOR nurse participates in the sedation of patients and assists physicians during the procedure by administering medications, monitoring vital signs and applying dressings. The CVOR nurse coordinates the entire operating room with respect to sterility, cleanliness and availability of functioning equipment and supplies, as well as provides critical quality control to ensure the patient's safety. What Are the Roles and Duties of a Cardiovascular Operating Room Nurse? Operating room registered nurses with open-heart skills make a median salary of $80,508 with a range of $50,351 - $102,887. Factors affecting a CVOR nurse's salary include geographic location and number of years' experience. While a highly specialized field, experienced cardiovascular operating room nurses are in demand across the country suggesting a bright career outlook for nurses interested in building a career in operating room nursing.